When obtaining the services of an SEO firm, geographic specific advertising and marketing, such as what is found with a state or local search, are often more affordable. Keywords and key phrases are an important part of online marketing and advertising, and competition has greatly increased the audience of potential customers. That competition for placement has increased the price for successful advertising and marketing. How can a company compete utilizing the knowledge of local search capabilities? Sometimes, a worldwide or countrywide advertising and marketing campaign is necessary because of the products or services offered to visitors. But there are times when something more geographically constrained is all that is needed for the business. For instance, a café downtown would probably not benefit from targeting people in China or England. Whereas, a major chain of restaurants would need a larger target audience base, depending on regions in which those storefronts were located. Why is targeting the local search engines more affordable than targeting the worldwide audience? What is an example of how targeting specific areas can work for the business? Are there other ways to generate traffic utilizing geographical constraint? Targeted traffic is essential to the success of a website. By targeting the people immediately close to the business, the business is not only getting targeted traffic that is appropriate, but the business is not paying for the competition. It is easier to compete when the area of competition is geographically constrained. For instance, a downtown café may use a key phrase such as “Mexican food in Katy Texas”. 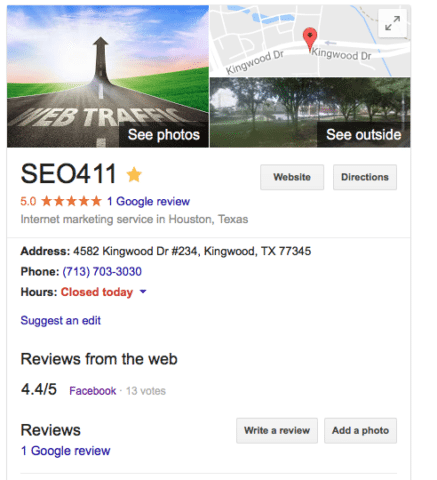 A quick look on Google shows that there are few results, meaning that the desired location is more likely to be found, and to be found quickly. The key phrase “Mexican food in Texas”, however, shows quite a bit more results. Further, the key phrase “Mexican food” returns thousands upon thousands of results. The more precise the location, the less competition there is for the keywords, which means lower prices for the business. Of course, the lower prices are not solely for the engines. Another good example of how constraining the potential target audience saves money is evident when it comes to social media marketing and advertising. For example, Facebook, Twitter, and MySpace all sell marketing and advertising space. The business wanting to advertise will find that the more constrained the target audience, the less it costs to advertise with those social media websites. Additionally, a positive note for ensuring constraint on the potential audience is that it means the visitors to the website are extremely targeted, increasing the percentage of people purchasing the products or services. A local search is more likely to get the results sought by the business, because the business is not simply luring in as many visitors as possible, hoping someone will make a purchase. SEO firms understand the ins and outs of generating traffic for an online business. The price and effectiveness often depends on generating targeted traffic. A local search of businesses is going to provide lower rates when it comes to marketing and advertising, because of the competition level of placement keywords and key phrases. Hiring a reputable SEO firm will better guarantee a successful campaign.